The surprise victory by the community organizer in a district that includes parts of the Bronx and Queens came after an energetic, grassroots campaign. “The community is ready for a movement of economic and social justice. 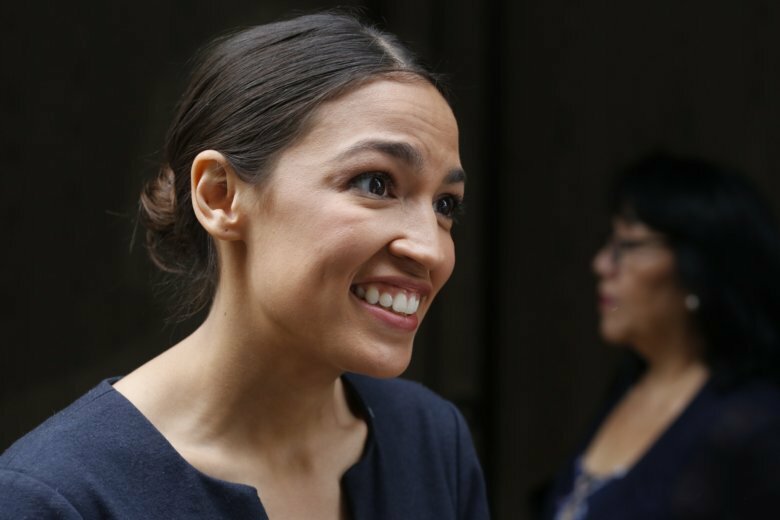 That is what we tried to deliver,” said Ocasio-Cortez, who has never held elected office and whose candidacy attracted only modest media attention. “I live in this community. I organized in this community. I felt the absence of the incumbent. I knew he didn’t have a strong presence,” she said. He later played guitar with a band at the election night gathering, and dedicated the first song, Bruce Springsteen’s “Born to Run,” to Ocasio-Cortez. “Wow! Big Trump Hater Congressman Joe Crowley, who many expected was going to take Nancy Pelosi’s place, just LOST his primary election. In other words, he’s out! That is a big one that nobody saw happening. Perhaps he should have been nicer, and more respectful, to his President!” he tweeted.